This year’s Zambia Fashion Week has been scheduled to be held from October 13th to 15th, at the Mulungushi International Conference Center under the theme: ‘Evoke Your Imagination’. Last year event saw 54 designers took part along with South African award winning designer, David Tlale showcasing as guest designer. This year's show will host another another award winning designer form South Africa, Paledi Segapo. Paledi is the founder and creative director of PALSE fashion brand which was established in 2009 and has showcased in London, Paris, Switzerland and many other African countries. “The last year has seen a crop of new designers come on board and to date, we can say we have created an industry which does not only spur the re-birth of the textile industry, culture and fashion, but also that of the tourism industry. 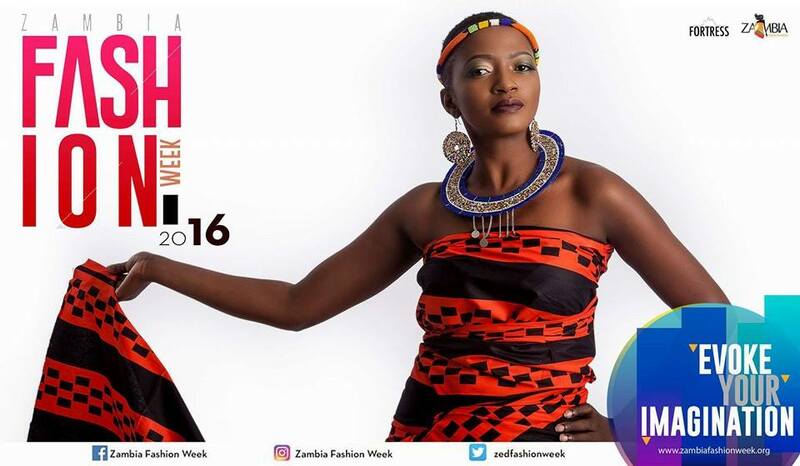 Zambia Fashion Week has been responsible for the creation of various job opportunities for the youth and helped create trade brands which have now become household names in the region,” said ZFW organiser Karen Nakawala. Ms Nakawala said the show is not just about reaching out to the public to emphasis and promote talents in the fashion industry, it is more about valuing designers and building brands and taking them to greater heights each year. “Our long term goal as Zambia Fashion Week is to promote “fashion as trade”, a concept whereby the fashion industry is seen locally as an income generating trade that creates direct and indirect revenue for both individuals and the country as well, leading in part to poverty alleviation”. So far, about 50 models have been selected for the main event and these include male models and plus size models. The selection took place over a period of two days at the Lusaka Golf Club. This year’s show will play host to Chinese designers and models as well. This was made possible by the wife to the Chinese Ambassador to Zambia. ZFW has also been endorsed by the Ministry of Tourism and Arts, Zambia Tourism Agency and the National Arts Council.